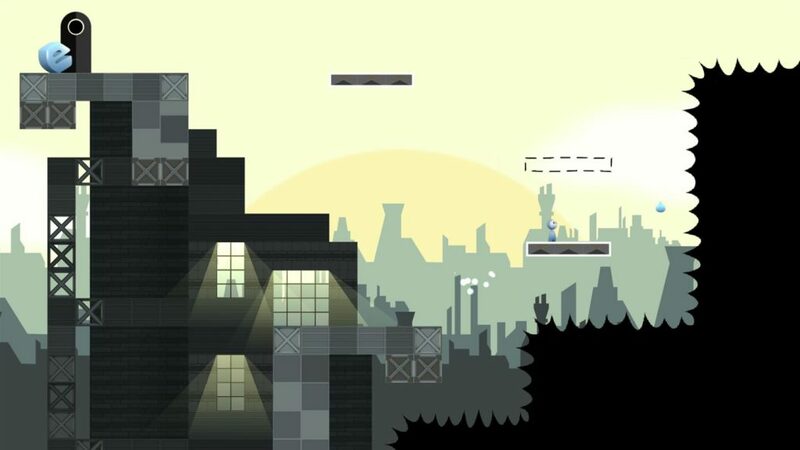 There is no shortage of indie 2d platformers on the console market. While some are better than others, it’s not often a game akin to Super Meat Boy or Celeste releases. The latest game in the genre is called Switch or Die Trying, developed by Indian studio Threyegames. What starts off as a simple concept of double jumping by switching forms quickly ramps up in difficulty; requiring the player to jump, shoot and move with speed and precision. You play as the letter I, with a goal to traverse 75 levels and save your friends, also letters of the alphabet. Each set of levels is divided into 5 distinctive worlds that contain their own unique visuals, obstacles and interact-able objects. Sometimes what seems like the obvious route is actually the wrong one. Moving and jumping is as expected, but it’s the “switching” mechanic that really spices up the gameplay. Your character can switch from an uppercase I to a lowercase I with the press of a button. Every time you switch between the two forms, you are granted an extra jump. 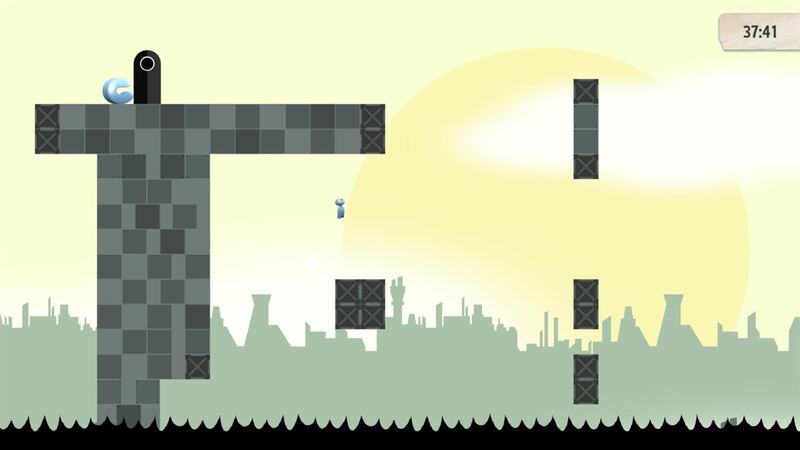 For example, to cross a large gap the player will have to jump as far as possible, switch forms before they descend, and they are granted an extra jump. Now you can’t just switch back and forth to levitate, you must land after switching to switch again. In later levels you can shoot a projectile to interact with levers, and you’re often tasked to jump continuously along vertical surfaces while also aiming and shooting levers to progress. There is a lot of precise timing and aiming required and quite a few times I felt a level was just too hard. In other areas, switching forms will change the environment. Platforms will appear and disappear depending on your form along with barriers that also appear and disappear. It makes you genuinely think before you jump, but I’ll admit there were plenty of times I failed because I was in the wrong form for the situation. Your character can slide down walls, but I found the jumping to be a bit too “loose” for this type of game. I’d prefer the character to really cling to walls definitively, what I found was my character sometimes stuck to the wall and sometimes did not. This is really important and my biggest con in Switch or Die Trying, because if it’s one fundamental thing these games need, it’s great controls (not just good). A well-timed switch as you touch the blue collectable will give an extra jump to clear the gap. Each level has three objectives that players will earn stars for: beating the level under the par time, grabbing the collectable and clearing the stage. I loved how I didn’t have to do all of them at once. If I wanted to take my time and get the collectable, that star remained earned when I tried again for a speed run. The player isn’t limited if they find a level that is too difficult, as you just need to beat 10 levels in a world to move on. While at times I lamented the controls for being a bit loose, I eventually adapted and became more proficient the longer I played. Switch or Die Trying has a simple art style with pleasing backgrounds. 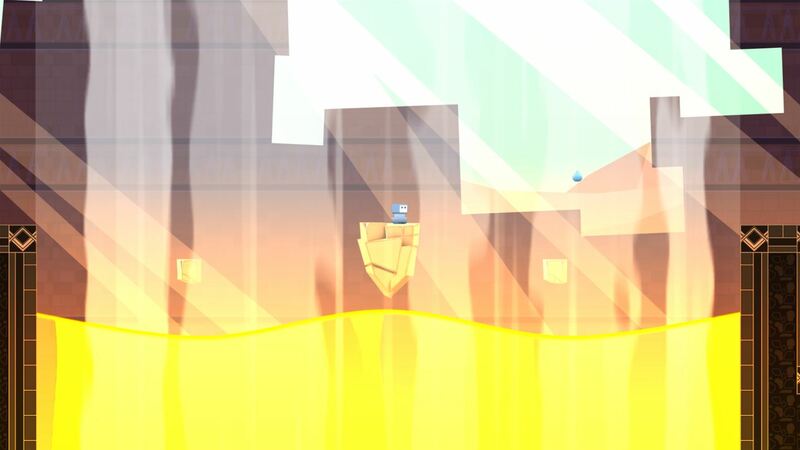 You might find some areas with purple or yellow hues which are always contrasted by dark platforms that the player can stand or jump on. The music is different in each world and suffices, but nothing to rave about. Levels load quickly, and the level select menu is in the form of book pages that the player can interact inside of as well. The cost is a very fair $6.99 USD that has a good amount of replay value if going for 3 stars in every level. Switching forms causes one platform to disappear and another to appear. While ultimately the switching mechanic is just a clever disguise for double jumps, I enjoyed Switch or Die Trying. It has some levels that are challenging to complete, let alone under par time…but I never felt like I was being battered relentlessly. An overly difficult stage was usually followed by an area with different mechanics that I found more forgiving. I would have preferred the controls to be slightly more responsive, if I could make a single change. 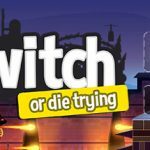 As it stands, Switch or Die Trying is a platformer that many fans will find enjoyment from. A press key was provided by the developer for the purpose of this review.